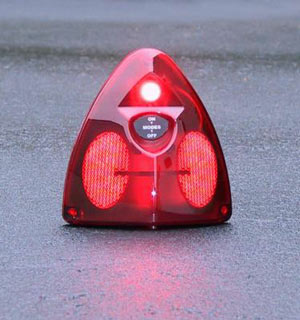 Whelen Dominator Series LED Traffic Advisor and Warning Modules for interior or exterior use. 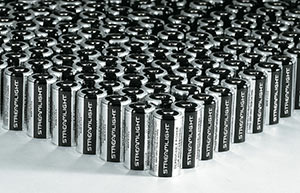 Small size and waterproof design make this series versatile for your warning and signaling needs. Available as a six or eight light array Traffic Advisor, or in two, four, six and eight light flashing models, Dominator features super bright TIR3 LED's in a rugged aluminum housing. 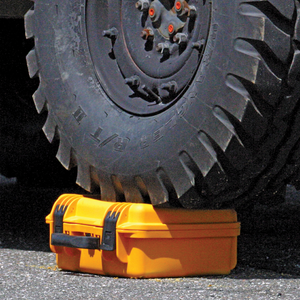 Compact enough for special use vehicles, motorcycles, quads and marine applications. 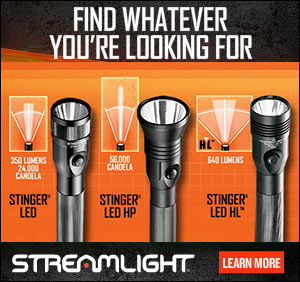 • Incredibly bright TIR3 Super-LED modules. • Many Scan-Lock™ flash patterns. • Optional suction cup, "L" brackets or swivel bracket mounting. • Size: 1-3/4" (44mm) H x 2-3/16: (60mm) D x 7" (178mm) or 14" (356mm) or 21 (533mm) or 28" (711mm) L.
• Two, four, six and eight light flashing arrays. • Seven flash patterns and a steady-on mode. • Standard 2 wire TIR3™ Super-LED® lamp modules. 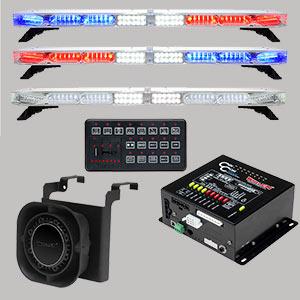 • 2, 4, 6 and 8 LED array models. • Thin 4-conductor #20 AWG 12" cable -12 VDC, Ground, Sync, Scan-Lock.